Note: This article could apply to both dominate and recessive morphs, but I’ve focused specifically on the big co-dom mutations. My personal business model doesn’t typically include chasing these shooting stars, but to those who do, they can offer a lot of monetary success or heartbreak. 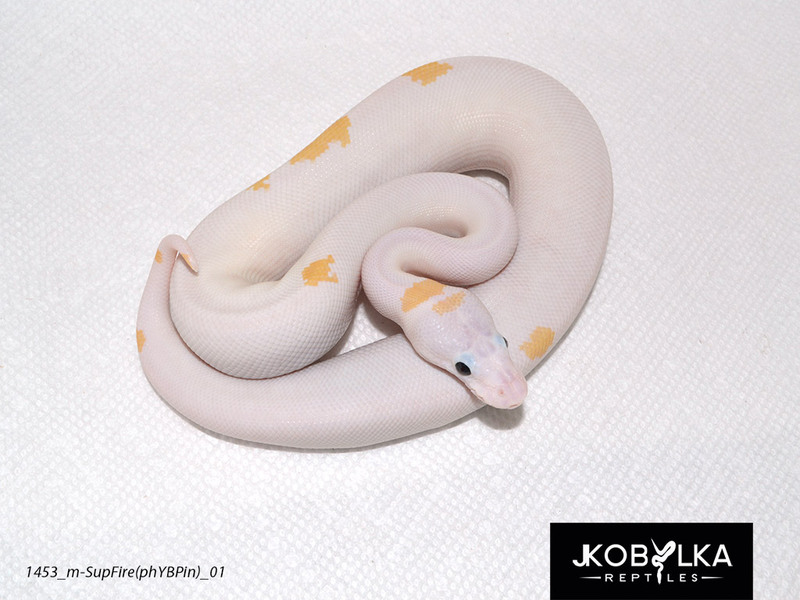 Recessive morph prices typically drop at different rates because of the early difficulty in producing visuals, also heterozygous sales create separate pricing structures. Investing in a big time Ball Python project requires courage, but even more critical is smarts and solid expectations. Every morph that goes sky high will come down, but not for the reasons that most people think. These trends are governed by a web of unwritten rules and human nature. If you understand the forces at work the process is much more predictable. Before you spend the money, you should understand the risks and market forces involved. The maturing market has let us live the life-cycle of many different morphs and see what can cause their rise and fall. The dollar amounts involved are not important to the conversation, these are the factors that determine the market life of a morph. How amazing is the mutation? – This is KING. Big time morphs have lasting power, they go big and go the distance. A morph with a cross-market appeal, that really changes combos in a unique way, will hold serious value. Sometimes a morph will pop up grab big prices, but its just not cool enough to hold value long term. It has to appeal beyond the minority and impress rank and file hobbyists at each step down the pricing ladder. Number of early animals released – The reproduction of a morph is exponential. Every male recreates more pairs, which in turn do the same. It would be crazy to expect less as breeders maximize the the morph and protect their investment. The more animals that are released early, the faster the exponential growth. With the industry continually expanding and so many breeders able to plug new morphs directly into adult females, co-dom mutations can go from rare to common in record time if early supply is not managed. Competition between early sellers – Quantity on the market = lower pricing, human nature ensures it. When a new morph is hot and rare, the price is high. There are only so many people in the market at these early stages, (not necessarily a small number, but still a finite number). These are people who are willing to spend big bucks on an awesome new morph. Early sellers compete heavily for these customers. Breeders will commonly disparage other breeder’s stock, not that every rumor is wrong, but their motivation is not to help the customer. Nearly every major feud between Ball Python breeders has a new Ball Python morph at the center of it. Competition also means sellers will almost always negotiate to make a sale, driving the market down one step at a time. Sellers know that pricing will trend downward and they don’t want to sit on their stock while competitors make early high-value sales. Selling to our future competitors – This has long been a joke in our hobby, but those who are expecting a return on their investment should understand this unique dynamic. It may soon be your best customers that are undercutting the very project they have purchased. There’s no use complaining, because it is also the life-blood of the industry. The “confidence effect” – The early adopters always have the highest potential to do well financially with a new morph, assuming they manage it correctly. As quantity grows and price begins to fall, more people are able to make the investment, which accelerates the process even more. 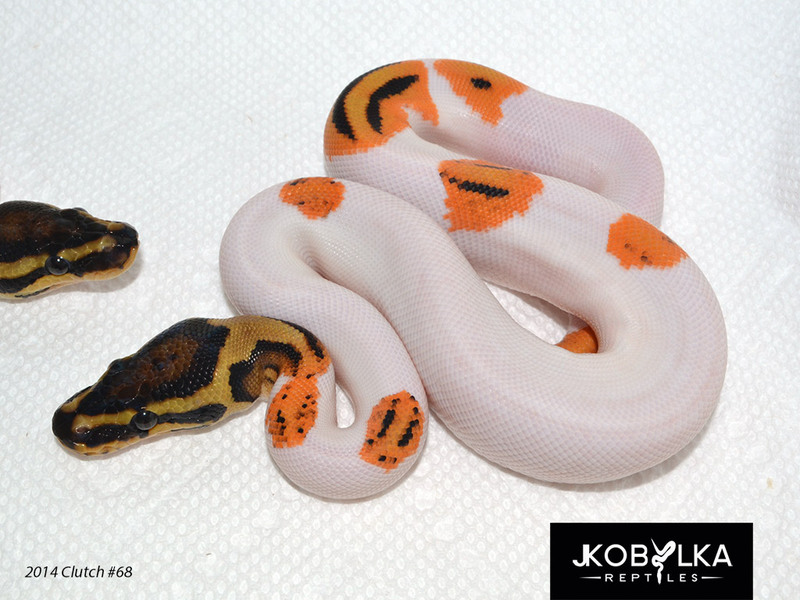 There comes a tipping point when buyers begin to suspect the morph is no longer rare enough to command its pricing and is nearing a price drop. Sales slow as people become more cautious with their money. Nobody wants to be the last person to pay big bucks before the price drops. With buyers slowing, they hasten the very thing they are worried about… a big price correction. On the other side of a big price correction there is typically a huge market of people waiting for this drop to buy at this new price point. Quantity sellers typically do very well as the cost comes down. Marketing – Some projects will be overhyped by awesome marketing, others may never take off simply because its discoverer don’t effectively communicate or highlight the gene. Market awareness and excitement of a project is critical to its success or failure. Other unique factors – Sometimes there is information about the morph itself that completely changes the market picture. For example, when Deserts were shown to have reproductive problems, the value fell out of them nearly overnight, even if it took a while for many to believe it. They became a pet-market animal. On the other hand, a morph can skyrocket later on as a result of a particular combo; such as the GHI, which went stratospheric after the super form and the GHI Mojave were introduced. 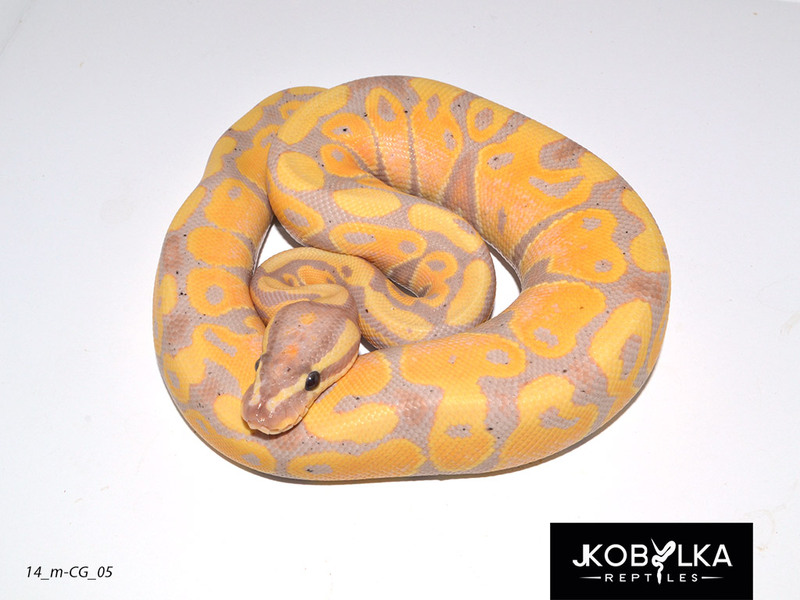 Bananas – Bananas are probably the single most “oh wow” morph to date. Supply was extremely low because inexplicably there only seemed to be females, and when the odd male was put to work, more females, females, females… However the script flipped when we suddenly we had male makers on our hands. These changed the whole game and turned this morph on its head. Suddenly nearly every Banana was a super high-value animal that would guarantee more high-value males. The BP world had never seen anything like this and it went bananas (pun intended). Unfortunately the same thing that blew the morph up also brought it right back down. The exponential growth of this morph was doubled since 90+% of them were males. The price was brought steadily down by competition and there came a point where there were just too many pricing rogues… The price had to correct in a BIG way. Anyone who didn’t expect that to happen didn’t understand the most basic market forces. GHIs – GHIs were very smartly released. Matt was carefully front load the market with females and offered males to early adopters, while strictly holding the price steady for years. Both he and early GHI breeders did very well. In the process, the morph did not make normal price drops that it should have, in my opinion. The price was held high long enough that when the drop did happen it was very sharp and really shook those who were the last to buy before the correction. The instability became apparent when breeders began dropping the price to $7.5k from the previous season’s 10k pricetag. Matt argued that a price drop to $9k was the most correction it needed. In my opinion, tiny price drops are rarely effective because the price change must be significant enough to attract new customers who could not previously afford to invest. The market very quickly moved to around $5k for GHI males before having a more controlled descent from there. Orange Dreams – The Orange Dream is a wonderful example of a subtle morph that became majorly successful through the perseverance of its founder. It did show early promise, particularly with the Orange Dream Spider combo; but when Oz was unable to produce a super in early OD x OD clutches, most people were ready to write it off. Pricing was very reasonable. Everything changed when Oz hit the super and began to stack multi-gene super-form combos. The OD opened up a new world of orange Ball Pythons in a way that just was not possible previously. This morph was given a new and long-lived lease on life. The price has been very very steady as it has slowly come down in the years since then. There has been no major drop because it was never over-inflated to begin with. Bamboos & Bongos- These chapters are still being written, but they have faced a very unique obstacle. For the first time we have seen the reproduction of both of these morphs by Noah in Africa prior to release. In addition to being produced by breeders here, they could also be purchased from European breeders or directly from Noah. This means a larger number of early animals than we have typically seen. In the case of the Bamboo, its inclusion in the BEL complex limited some early interest. Early reports suggested they may also have a white super, but this has since been cast into doubt. Bongos are really cool and might be one ridiculous combo away from really showing up on a lot of people’s radar. Scaleless Heads – This is a unique morph that blurs the line between co-doms and recessives. It’s co-dominate in the sense that it has a visual heterozygous form. However its recessive in practice because the het form is essentially a useless dead end without the super. This is also one of the most controversial mutations with many people arguing its a step too far in changing the animal itself, not just the color / pattern. The majority seem to love it as the pinnacle and most other-worldly Ball Python to date. This morph’s story is still in progress but already many factors listed above can be seen at play. ← Morphs 101 – special 2 for 1 edition! I agree 100%, and people need to realize this. Seriously, if you want continued money, go recessive, you wanna play penny stock and possibly strike the mother load, then roll the dice on the co-dom! Nice article brother! This is a great insight you have presented, Justin! I was awaiting this blog post since you announced it! Definitely some great points and factors to focus on and apply in the market. Personally, I would classify myself as a quality-quantity breeder, but we produce things that people at shows at a table actually buy! Instead of having a few high dollar animals sell over a period of 2-3 shows and making $1,000 – $1,500 in that time frame; we can make the same money selling multiple lower end, but quality co-doms abs het animals in people’s price range and make that same $1,000 – $1,500 at ONE SHOW! Sell more for less, but keep prices fair and solid! These lower end morphs still are the recipe for a lot of big stuff that the average – Joe can’t afford – we have all been there one time or another early on! It’s all about catering to the market…we cater to table and family buyers, not so much other breeders. I agree in keeping early distribution of select morphs limited to those who will put a corner on the market the right way! I am a firm believer in pricing higher-end animals accordingly and staying true to it; keeping those animals off the “backyard breeders” table, which ultimately drives prices down due to desperate sales to make ends meet at home or at the shows!